Perched 1000 feet above the Napa Valley floor is a mountainside winery, made of stone and redwood. This place, with breathtaking panoramic views from Calistoga and to the hills beyond, has been home to Burgess Cellars since 1972. The setting is so peaceful, so bucolic, that it belies the buoyant progress and innovations taking place at Burgess Cellars recently. The talented winemaker behind much of this activity: Kelly Woods. Kelly and I recently sat down for a bi-coastal video chat, in which Kelly shared her journey in wine and about the 2012 Burgess Cellars Cabernet Sauvignon, which we’ll enjoy at January 18th’s Go-Getter Girls & Grapes. In her career, Kelly Woods has worked with some of the best fruit in Napa, from valley floor vines to beautiful hillside vineyards. Her first drive up Howell Mountain to Burgess Cellars in 2012, however, was no normal ascent. She’d find a family run wine estate steeped in history. The site traces its origins to the 1880s, when Italian immigrant Carlo Rossini planted grapes and a winery on his homestead with the help of mules and hard working settlers. Almost a century would pass before Burgess Cellars’ namesake and founder, Tom Burgess, would lay his eyes on the property and its 1888 winery. When this former Air Force pilot and wine lover purchased the site in 1972, Burgess Cellars joined the affectionately termed “ Class of ’72”. 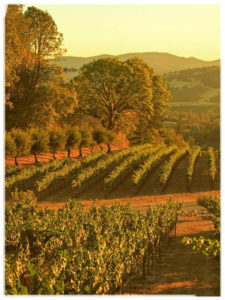 At that time, there were only two dozen or so wineries in the whole of Napa, but growing interest in wine and travel was bringing attention to the valley. That year, the number of wineries doubled, and Tom Burgess became a pioneer with a mountainside winery. 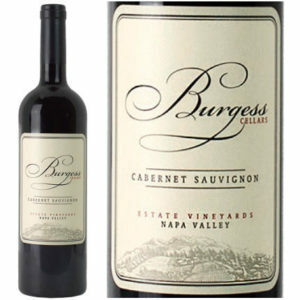 Today, in a much more crowded field, Burgess Cellars is still family owned and run by its second generation, Steve Burgess. Together, Steve and Kelly are building on Burgess Cellars’ history, with an eye to the future. Kelly describes her wine career as a happy accident! She grew up in Santa Maria, and though this small town lies in the midst of the vineyard laden region of California’s Central Coast, her career interest from five years old was to become a veterinarian. The University of California, Davis, had a premiere veterinary medicine program, and a tour of the campus made Kelly quickly decide on the school. Before her first day of freshman year, however, her career aim was sidelined. A high school apprenticeship at a vet made Kelly realize vet work was more about the humans than the animals! 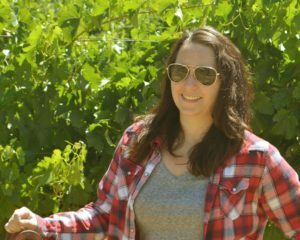 With a matriculation at Davis and a loss of interest in veterinarian studies, Kelly entered the winemaking program instead. Accidentally, happily, a future career emerged. Completing the program under normal time, she earned her degree in Viticulture & Enology, graduated, and immediately started on an impressive resumé. Kelly’s career took her to Napa’s Seavey Vineyard and Bryant Family Vineyard, and an international stint at Morton Estate Winery in New Zealand. It would be at Sequoia Grove in Rutherford where unexpected and extra responsibilities would fall in her lap. The head winemaker left on family leave, and Kelly found herself with the full responsibility of winemaking. She felt comfortable and prepared in taking on the role temporarily and turned out a great vintage. She also appreciated a lot of support from the seasoned cellar master and cellar workers, a dynamic that would soon repeat itself at Burgess Cellars. Just as Kelly was feeling ready for a head winemaker role, Steve Burgess was in the midst of an exhausting two month winemaker search. It was 2012, and Steve and Burgess Cellars were going through many changes. He had just been named President of Burgess Cellars. Though Steve was born in the winery’s first harvest, he had not always worked in the family business. He’d been a physics teacher and wine sales representative, and later returned to Burgess Cellars in 2005. In one of his first acts as President, he found and brought on Kelly Woods, in the midst of 130 applicants! It was a new chapter at Burgess Cellars. There were some big shoes to fill at Burgess Cellars. When Kelly took over the winemaking operations in January 2013, she was stepping into Bill Sorenson’s former role. Bill Sorenson had been the winemaker at Burgess Cellars since its first vintage in 1972, and is arguably Napa Valley’s longest running winemaker! 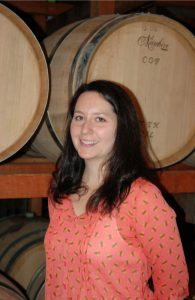 When Kelly walked into her first day of work, she’d be taking over the 2012 wines, already picked, fermented and barreled down by her predecessor. It would be her responsibility to do the blending and make final decisions. Kelly briefly picked Bill Sorenson’s brain, and then the 2012s and future vintages would be hers to craft. Like many women in wine, she was nervous that the seasoned vineyard and cellar workers wouldn’t support her position or direction. Kelly soon learned this anxiety was unnecessary, and she shared enthusiastically with me the support she’s felt in her tenure. Kelly also works side by side with Assistant Winemaker Matt Reid, the owner and winemaker behind The People’s Wine Revolution, who she originally met during his tenure as winemaker at Seavey Vineyard. Since that first vintage, Kelly has not just filled big shoes. She’s run in them for four incredible vintages in a row! Today, Kelly is responsible for all the steps of winemaking, be they in the vineyard, the lab, or the cellar. Her impact has been felt both in the basics, like focusing on improved harvesting, and in the use of new technologies and advances. For example, her implementation of wine lots in “the cloud” was something the 1888 facility had not yet seen! During harvest, Kelly can be seen daily walking the estate’s two vineyards, Winery Ranch Vineyard and Haymaker Vineyard. Together with Jim Burgess, the estate’s vineyard manager and Steve’s brother, and veteran vineyard foreman Jose Luis, they’ve improved harvest techniques. Some blocks ripen unevenly, and Kelly will arrange for caution tape to be placed around no picking areas, until each section is ripe. She told me in our chat: “If you don’t want to eat it, don’t pick it”. This modification, essentially ‘in the vineyard sorting’, has resulted in higher quality fruit. Picking carefully has allowed for mountain terroir to be more evident in the 2012s and beyond. Both of the estate wineries are located above the fog and frost line at roughly over 1000 feet on Howell Mountain. The vineyards’ aspects (~25%), soil composure (volcanic ash and marine sediment soils), and overall microclimate reflect in the grapes. 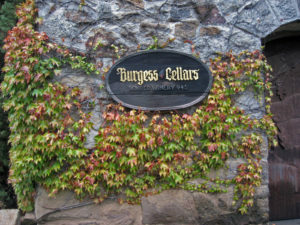 Kelly explained that Burgess Cellars nurtures true mountain fruit, with silky tannins and concentration of flavor. Hillside wines are a minority percentage in Napa Valley, and Kelly’s winemaking style allows this terroir to shine. One ‘light touch’ of Kelly’s style is her approach to oak. She feels that oak is meant to be a complement and tends away from overuse. During her tenure, she has been changing up the barrel program, exploring different suppliers, and performing trials and tastings at neighboring vineyards. We’re thrilled to be tasting Kelly’s first Burgess Cellars vintage at the January 18th Go-Getter Girls & Grapes. For the 2012 Cabernet Sauvignon, Kelly blended in a touch of Petit Verdot and aged in 25% new oak. It’s a deep ruby colored red, full bodied, with beautiful dark cherry and chocolate notes, and just a hint of vanilla and oak… what a great example of Kelly’s transition vintage and her impact to come! Together with Steve and Jim, Kelly has moved new mountains at this family winery. Heading into Burgess Cellars’ 45th year, the second generation has catalyzed a new evolution. While the wines have always been wonderful, the ‘happy accident’ of Kelly Woods’ wine career is seeing Burgess Cellars reach the height of mountainside Napa Valley quality. We’re previewing winemakers for the upcoming Go-Getter Girls & Grapes on January 18th! Go-Getter Girls & Grapes is a professional women’s networking and wine tasting event series, featuring wines by female winemakers and owners. Tickets are $15 and are available at http://www.elizabethmillerwine.com/gogettergirlsgrapes. Previous Previous post: My Thanksgiving Dinner…Next Year, Maybe Sooner?